Morning Edinburgh, a bit drizzly eh? Nevermind stay in doors and test your visual skills. Can you name this Edinburgh landmark? 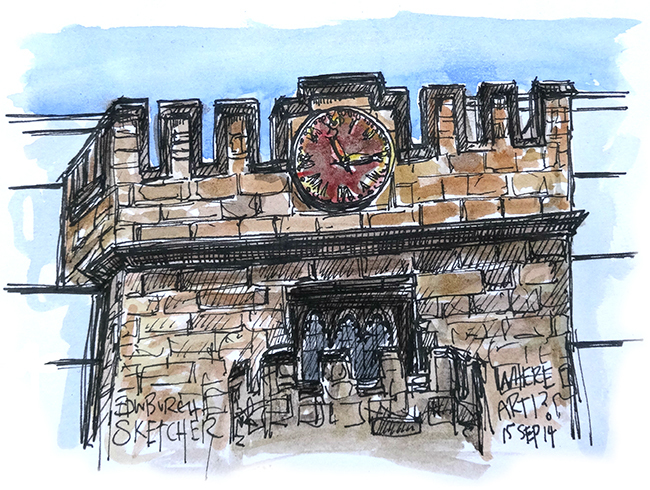 Also remember to buy a copy of the Edinburgh Evening News and play along in the print version of WhereArtI too. You could win a crate of beer! Ruth Fredericks liked this on Facebook. Andy Broon liked this on Facebook.